“That was the juiciest, most delicious, succulent, bestest roast beef I have ever tasted!” With such eager enthusiasm that I have not seen in him for a long time in regards to food, my son exclaimed excitedly. I think that I might had forced him to listen to me describing the food in my blog a bit too much.Was it actually that good? I tore a small piece and proceeded to taste it. He was right. There is a very wholesome, natural flavor to this meat. The seasoning is appropriate and not uncomfortably salty as other sandwich meats tend to be. The beef is moist, smooth, and a tad pink. Most importantly, the beef looks and tastes undeniably fresh, because it is. 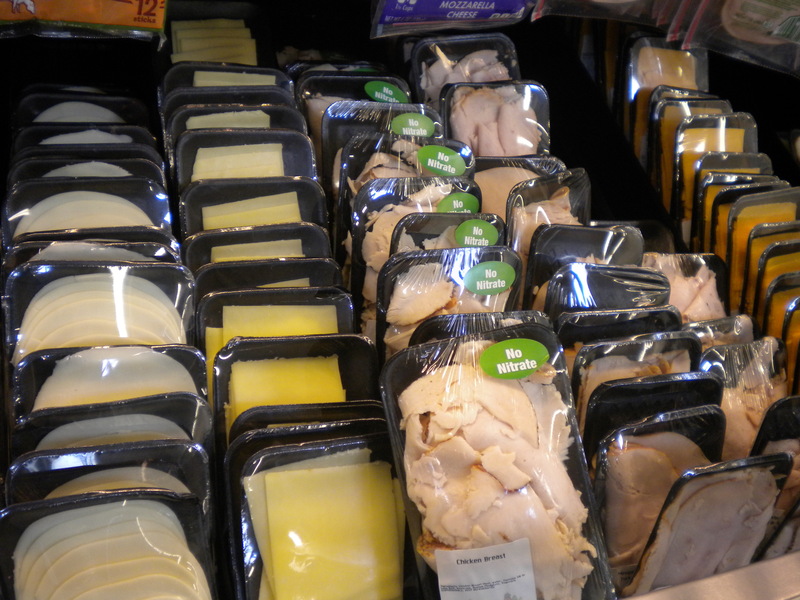 The deli meats are cut each day on premise, and wrapped with cellophane, and sold by weight. The best part for me is the fact there is no nitrates in the roast beef and the turkey that I buy – research has shown that sodium nitrates are linked to increased cancer risks. This was the first time trying the roast beef. I have been purchasing the turkey breast there for over a year. Prior to discovering the turkey, I was buying the ones without preservatives at Trader Joe’s. 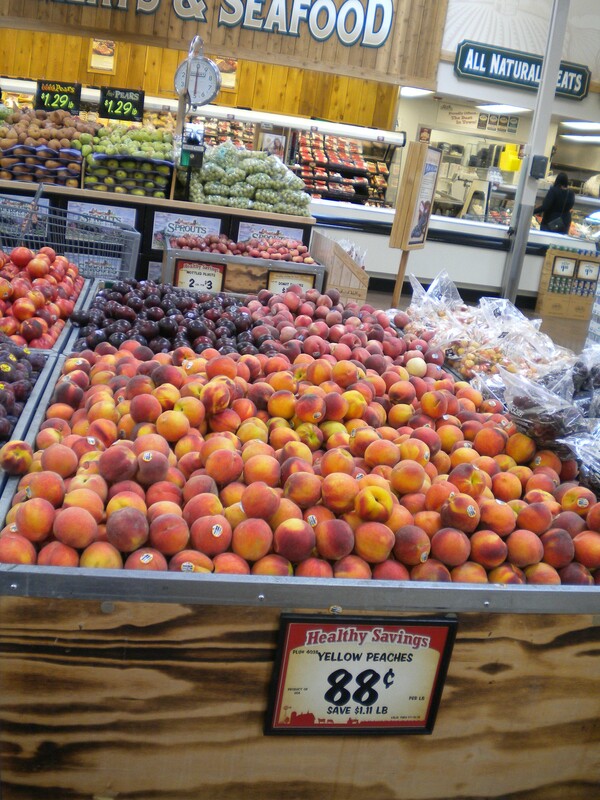 The main difference is that the ones here at Sprouts are cut daily, in thicker slices, instead of the paper thin, overly processed unnatural looking ones at TJ. Some days, when I am feeling lazy, I would just serve some of these deli meats with some brown rice and sliced cucumbers to my son for dinner. The reason I don’t just make a sandwich in the evening is because somehow the dinner meal seems more legit, more presentable, more like I did something when rice is served along side. There is also a low sodium version of the turkey breast, which is my preferred choice. In addition to turkey, roast beef, there are ham, roasted chicken, mesquite turkey, etc. Be sure to check the labels though, since there are quite a few varieties with preservatives. 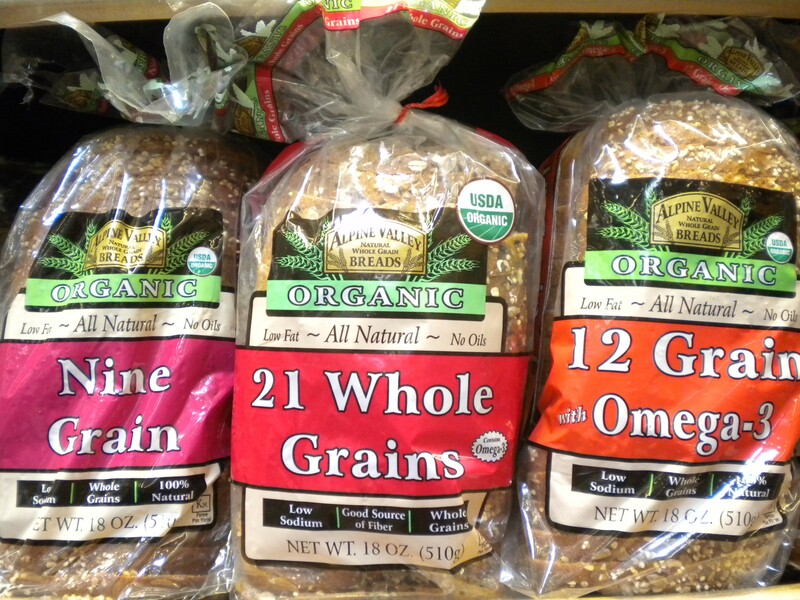 To go with the sandwich meats, I find that the Alpine Valley Organic breads are absolutely addictive. I tried the Multi grain, 12 grain w/Omega-3, Nine grain, they are all uncommonly moist, wonderfully chewy, with a bit of sweetness. Just as good, but slightly cheaper are the Sprouts sandwich breads, with similar textures and taste. I almost never eat the crust on any sandwich breads, but obsessed with the fabulous chewiness of the multi-grain version, and the sunflowers seeds that are scattered all over the soft and malleable crust, I find myself just eating the entire plain slices of the bread continuously throughout the day. 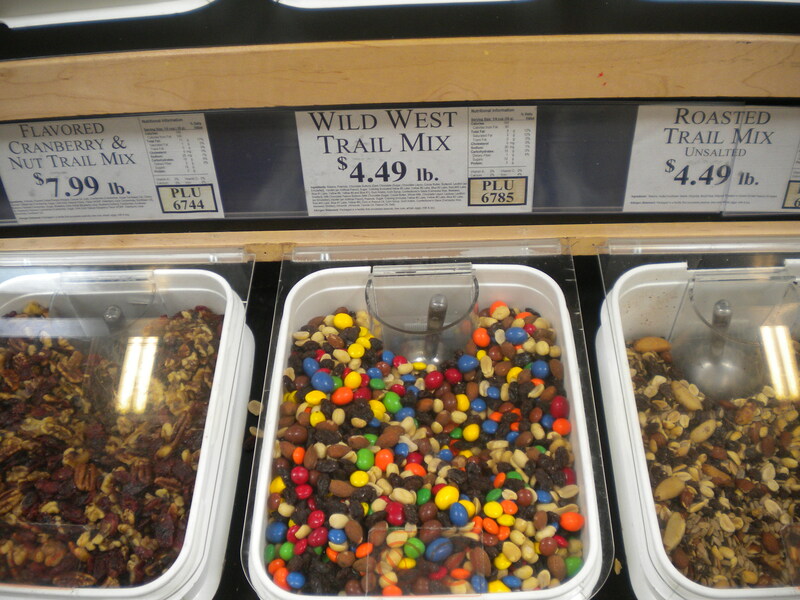 Another reason to shop at Sprouts, is the bulk bins. There are so many fun and tempting choices, such as the assorted types of nuts, seeds, grains, dried fruits, and best of all, different milk and dark chocolate covered fruits and nuts, and my favorite – chocolate covered espresso beans. The bitterness and the hard crunch of the coffee bean is a perfect balance for the sweet candy coating. The unique hotness of the wasabi coated edamame gives a surprising kick to your taste buds and provides a bizarre stimulation to the nasal passages. 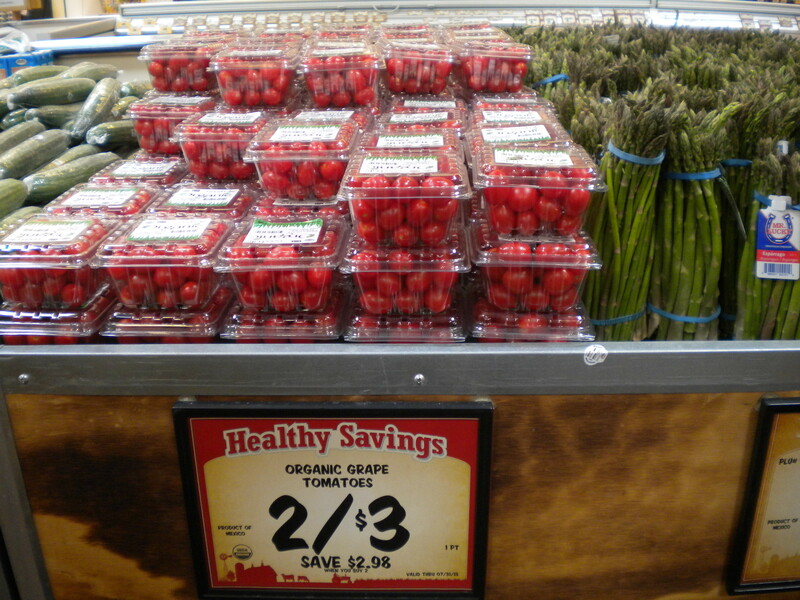 The Produce department always have unbeatable specials on seasonal fruits and vegetables, such as the pop-in-your-mouth, fruitiest tasting organic grape tomatoes, as well as the sweetest blueberries, raspberries, blackberries, all for $1.50/dry pint this week. 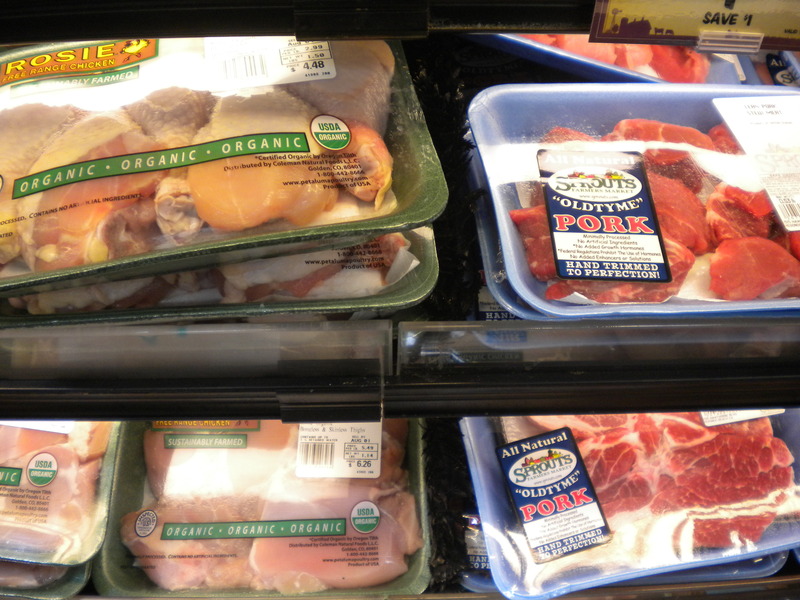 Raw meat selections such as the organic chicken drum sticks, Old Tyme organic beef, and the natural pork chops are all excellent in quality. See Sprouts website for other locations. I think everything in moderation is probably best.